To get the matrix rolling, here's what I have. A new sticker variation found! KPS48B with double Kenner and Palitoy stickers on it. See the bespin security black in the group photo above! Here's the first draft of the matrix with the low hanging fruit filled in from some google searches. Fantastic- really excited to see this matrix. Could be a good community project. I've got an Artoo Senserscope with a 4LOM offer sticker, Jason. And another example of the double stickered Black Bespin Guard. The other example I've had of the Arena Offer was a very beaten Chewbacca which i sold on. Edit - can a mod separate these sticker matrix posts out into a dedicated thread? Most cards with palitoy stickers are of a new type with the writing at the top split differently across the 2 lines. This new card type is KPS48E. 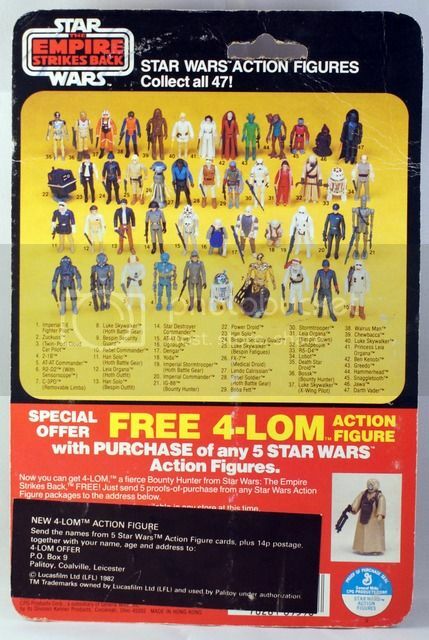 There is also a third type 48F with the writing across 3 lines at the top of the card but none of these have palitoy stickers. The existing 48D entry on 12back.com is from the Unitoys factory and the factory code HT is shown next to the pop. This card type can also come without the factory code. 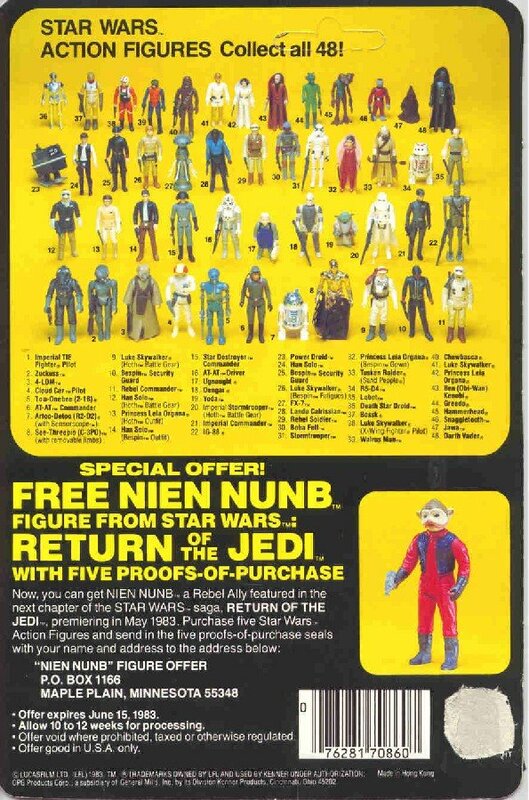 The new card type 48E which has palitoy stickers on the back is from the Smile factory and has HN next to the pop. The 48F type has HG next to the pop and is from Kader. No 48F cards have been found with a plaitoy sticker on them yet. Last edited by mr_palitoy on Wed Mar 01, 2017 1:57 pm, edited 1 time in total. 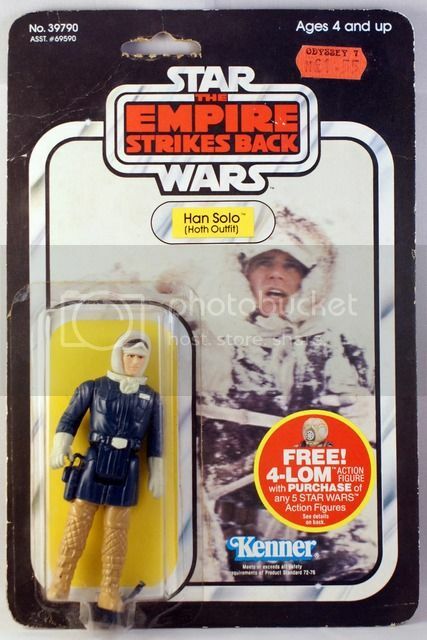 interesting show chaps - here's my Han hoth 47 sticker. Is that the one you found Jason or is there another? Can these sticker posts be moved into a dedicated thread, Mr Mods? spoons wrote: interesting show chaps - here's my Han hoth 47 sticker. Is that the one you found Jason or is there another? Already on the matrix under KPS47A cheers. spoons wrote: Is that the one you found Jason or is there another? so you've not seen another? Has Jason just 'Hutchinsoned' this thread?